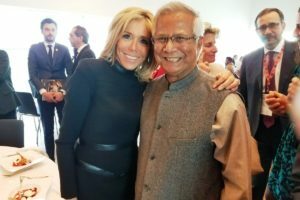 Two popular explanations have been swirling around the world as to why Prime Minister Sheikh Hasina of Bangladesh declared war on Nobel prize winner Muhammad Yunus. First, Yunus conspired with the powerful military to exile the nation’s top two politicians, while prepping himself to join politics; second, Hasina felt jealous because Yunus won the Nobel prize that she believed she deserved for her role in ending a decades-old tribal insurgency. These myths have thus far remained widely accepted at home and abroad as the reasons for the Hasina-Yunus duel.